HE Mahamadou Issoufou, President of the Republic of Niger (Right), listen to Dr David Styan (Left) during the ?Niger?s Growing Regional and International Importance? 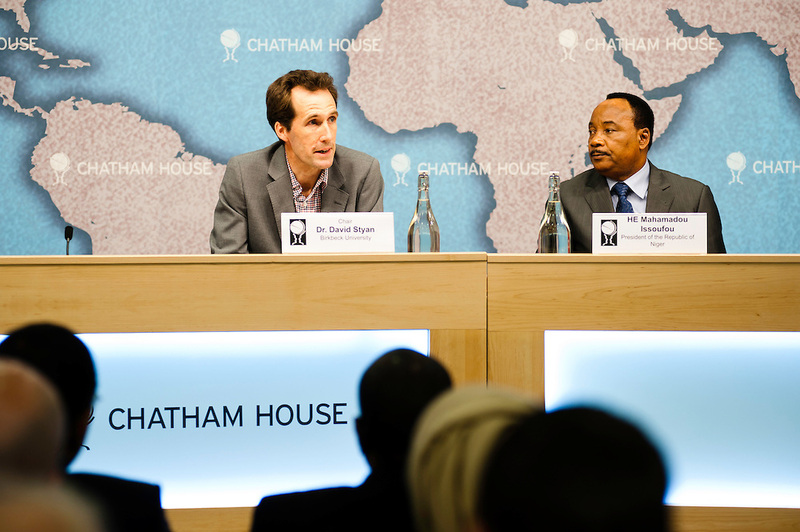 conference at Chatham House. Issoufou Mahamadou africa african candidate chatham conference debate democratic economics event government hausa house leader london meeting minister niger nigerien official event official visit opposition party politician politics portrait president press prime social society somair speech summit talks uk united kingdom event photographer events photographer event photography events photography PR photographer press conference photographer awards ceremonies business conference Conference Photography conferences corporate events corporate photographer corporate photography image images london meeting panel photo photos picture pictures press conference speakers summit UK fotografo a milano fotografo milano fotografo milano centro fotografo lombardia fotografo "fotografo a milano" "fotografo di milano" "milano fotografo" "milan photographer" "photographer in milan" "photographer in bergamo""photographer milan" "photographer milano" "photographer in milano" "italian photographer" "photographer in italy" "photographer in lombardy" "fotografo a como" "fotografo a pavia" "fotografo a bergamo" "fotografo a trieste" "milan photographer" "photographer in milan" "photographer in bergamo" "photographer milan" "photographer milano" "photographer in milano" "italian photographer" "photographer in italy" "photographer in lombardy" "fotografo a como" "fotografo a pavia" "fotografo a bergamo" "fotografo a trieste" "photographer trieste" "fotografo di milano" "fotografo a milano" "photojournalist in milan" "corporate photographer" "event photographer" "fotografo di eventi" "fotografo di eventi milano" "photographer in bergamo" "photographer in trieste" "event photographer milan" "milan photographer"